The Black Bear stands in front of his forest home. This organizer is a fond reminder of trips made into the North Country. This organizer has felt pieces on the bottom to protect any surface. 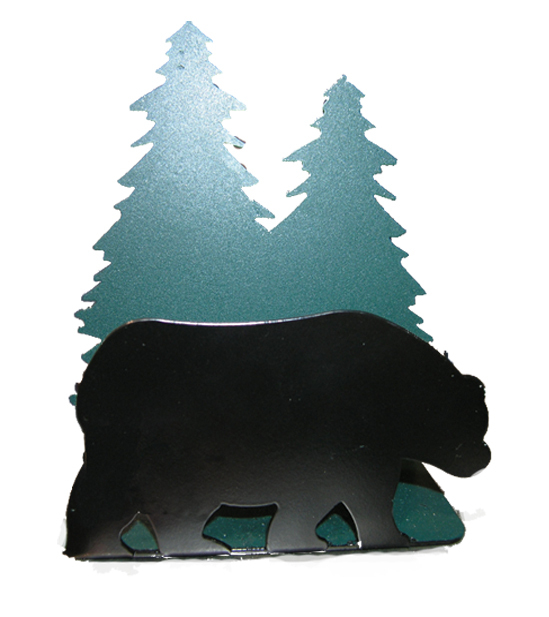 It is crafted of steel and powder coated dark brown for the moose and textured green for the trees. It measures in width to be appoximately 6 inches in wideth and stands about 8 inches high.